SSIS Designer includes separate design surfaces for building a control flow, data flows, and event handlers in packages. The designer also provides access to the dialog boxes, windows, and wizards that you use to add functionality and advanced features to packages and to troubleshoot packages. For example, from SSIS Designer you can access the Configure SSIS Logs dialog box for implementing logging, the Variables window for adding and configuring variables, and the Set Breakpoints dialog box for setting breakpoints. 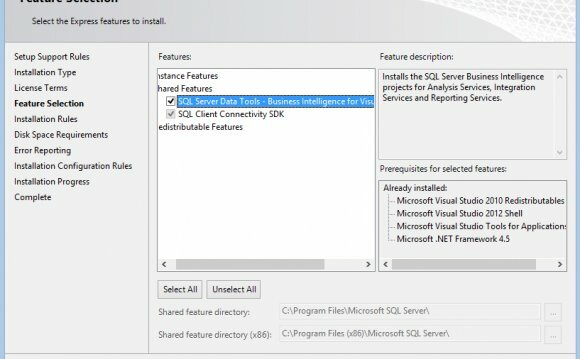 For more information about the windows, dialog boxes, and wizards that SSIS Designer provides, see . A package is created within the context of an Integration Services project. Before you can use SSIS Designer, you need to open an existing Integration Services project or create a new project. When you create a new Integration Services project in Business Intelligence Development Studio, a new package is automatically added to the project. To open SSIS Designer, you double-click a package in the SSIS Packages folder in an Integration Services project. For more information, see .